Garden sheds, log cabins, summer houses, cabin shelters and wooden garages can all make practical and aesthetically pleasing additions to any garden. That said, being less robust than a traditional home these buildings are less secure and are becoming increasingly targeted by burglars and thieves. This may seem incredibly obvious, but you would be surprised how many people have no security on their outbuildings whatsoever. Even if you have very little of value in your cabin or shed it would be a shame to lose it to burglars or vandals when a perfectly affordable padlock or bolt can be enough to make any would-be wrongdoer think twice. If there are valuables in your garden building then it may be worthwhile investing in an alarm. The most vulnerable part of any garden structure, particularly log cabins and summer houses, are the windows; so it is worth investing in an alarm that sounds when the windows are tampered with. 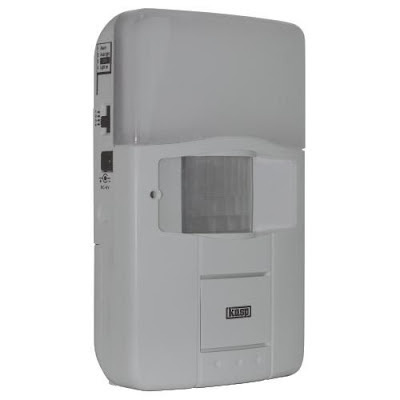 These alarms have small pressure sensors that attach to the glass; they are are inconspicuous and will not affect the pleasant look of your log cabin or shed look but still provide adequate security. Just like security lights on houses, these will react when anyone approaches your outbuilding. These are popular security devices but bear in mind they can be sensitive; so they have the potential to be a nuisance in neighbourhoods where they are likely to be set off by cats, squirrels or other small animals and pets. If you have an outdoor study for example, take laptops, mobile phones and any important documents back into your home when you’re are finished for the day. 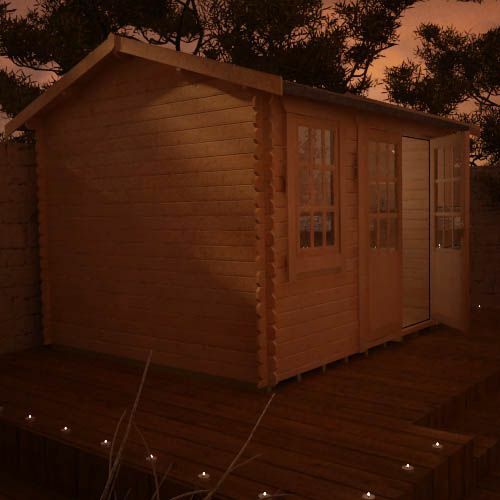 The less valuables in your outbuilding the less appealing it will be to thieves. If expensive equipment has to be kept within the structure, gardening equipment or heavy furniture for example, then keep it attached to the walls of the outbuilding or locked away in its own compartment or closet. Also, it is recommended to keep anything burglars might find attractive away from any windows. Garden structures are there for your enjoyment and should not cause you any undue stress or worry. Taking on board some of the security measures mentioned above will give you peace of mind when it comes to your outbuildings.